Address: 1404 Solano Avenue, Albany CA 94706. Take the Albany exit and veer to the right putting you onto Buchanan Street. At San Pablo Avenue. Buchanan Street changes into Marin Avenue automatically. Continue straight on Marin Avenue. The fourth traffic light from the freeway is Santa Fe Avenue. Turn left at Santa Fe Avenue. Proceed one block to Solano Avenue and turn left. Fish First! is the fifth door down at 1404 Solano Avenue. Take the Albany exit and turn left at the bottom of the off-ramp. Proceed two blocks and turn left onto Solano Avenue. Fish First! 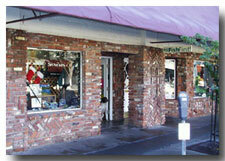 is located about one mile up Solano Avenue on the right hand side at 1404 Solano (4 blocks past the BART tracks). Address: 766 Mangrove Ave, Chico CA 95926. Take Hwy 80 East to Hwy 505 North. Take Hwy 505 North to Hwy 5 North. Take the Hwy 32 exit to Chico. Take Hwy 32 East into Chico until you come Sacramento Ave and turn left. Go 0.3 miles and turn left on Warner St. Go one block and turn right on East 1st Ave. Go 0.9 miles and turn right on Mangrove Ave. Go 0.3 miles and turn left into the Safeway Shopping Center. Fish First is to the left of Safeway between Payless Shoes and Cartridge World. Take Hwy 99 towards Chico. Take the East 1st Ave exit. Go west on East 1st Ave and turn left onto Mangrove Ave. Turn left into the Safeway Shopping Center. Fish First is to the left of Safeway between Payless Shoes and Cartridge World. Go one block to Main St and turn right. Go one block and turn right on 2nd St. 2nd St turns into Vallombrosa Ave. Continue to Mangrove Ave and make a left. Turn right into the Safeway Shopping Center. 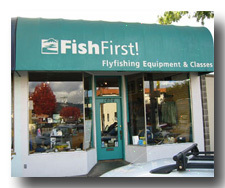 Fish First is to the left of Safeway between Payless Shoes and Cartridge World.